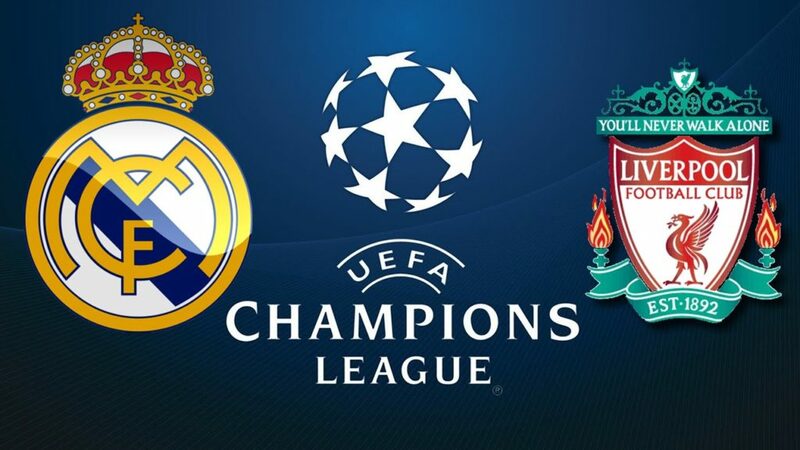 In this year’s Champions League Final there is experienced Real Madrid looking for a three-peat in the competition most clubs salivate to qualify for, and there is the high-flying mighty Reds of Liverpool that are looking to get their hands on the Coupe de Clubes Champions Europeans trophy. With both teams leading all teams in goals scored throughout the competition, the game will be played with especially meticulous tactics from the respective managers: Zidane of Real Madrid and Klopp of Liverpool. Real Madrid will be getting the nod on most bets, but there is plenty of possibility for upset. Liverpool led the competition up this point with a whopping 40 goals through 13 games. The Reds also only let in 15 goals. 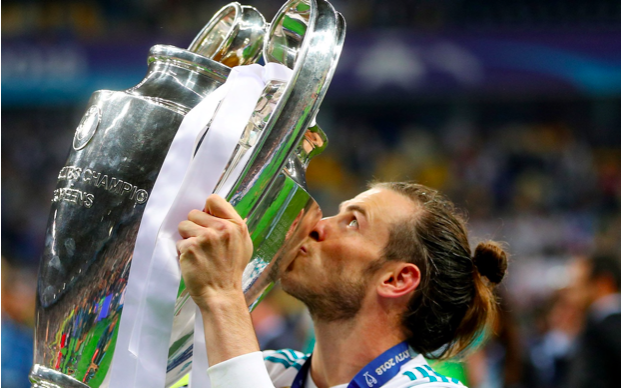 Because of Real’s experience, the presence of one of the greatest goal-scorers of all-time, the amount of big-time players they have in the starting lineup, their reserves, and intelligence of their manager, Madrid has been given a 56% edge for the match. Liverpool’s story has been quite enthralling and captivating. With the addition of Mo Salah, the Egyptian magician, Liverpool finished fourth in the EPL, and Salah led them to this Champions League Final shutting up all of the haters on their pressing, energy-enthused squad. The team is a collection of veterans, like James Milner and Jordan Henderson, with plenty of healthy confidence and know-how, plus youth, with plenty of potential in players such as Trent Alexander-Arnold and Joseph Gomez. With plenty of energy and quality up top from Firmino, Mane, and Salah, the Reds will have to focus on sustaining a balanced midfield throughout the 90 minutes and keeping a composed, yet aggressive backline. While dealing with Madrid’s star-studded midfield, and front line is possible, most think it will come down to how much magic Klopp’s attacking three can produce. In regards to Madrid, and the almost flawless squad they seem to maintain year after year, it is all about execution. Zidane will put forth a master plan to pick apart the Reds, and all the Madridistas must do is follow his instructions, put all of their effort in, and leave everything on the field with nothing to regret. If they do so, most seem to think that is quite plausible that they will come out with the victory for the third straight year. All in all, the match will be quite intriguing so I suggest you tune in. With the beginning of the NBA Playoffs, there are teams just happy to make the playoffs, contenders for the Larry O’Brien trophy, and some unfamiliar dark horses. Looking specifically at the Eastern Conference, starting with the matchup of the #1 seed Toronto Raptors vs. the #8 Washington Wizards. With hopes of winning the conference and moving on the Finals with a top five offense and a top five defense the Raptors are well coached and have a solid bench. The Wizards, although an 8 seed, have quite a lot of talent with John Wall running the show, and Bradley Beal topping the scoring table most nights at the shooting guard position. The Wizards were lacking offensive chemistry, and consistent communication on defense: Toronto won, 4-2. Next, the #2 seeded Boston Celtics were matched up with the #7 Milwaukee Bucks boasting the “Greek Freak,” MVP candidate, Giannis Antetokounmpo. With the young stars of Jayson Tatum and Jaylen Brown, along with the veteran Al Horford, the Celtics were able to consistently score on the Bucks. Defending, however, was a far more difficult task. Antetokounmpo was finding ways to the hoop and kicking out to his shooters, Kris Middleton and Malcolm Brogdon. Excellent coaching and hard-nosed defense enabled the Celtics to overcome a valiant effort from the Bucks for a 4-3 series victory. Next, there was the matchup of the #3 seeded Philadelphia 76ers vs. the #6 seeded Miami Heat. With a top 5 defense, the Miami Heat gave the 76ers some toruble in games 2, 4, and 5, otherwise, Philadelphia cruised through and ended the Heat’s Cinderella story with the addition of experienced star Dwyane Wade late in the season. Finally, the #4 seeded Cavaliers played the #5 seeded Indiana Pacers. This was the most interesting, gripping, intriguing series of them all. While the Cavs have the best player on the planet, and arguably the best player of all-time, Lebron James, the rest of the team was struggling quite mightily. The defense was out of sorts, and the marksmen of the team had not been hitting the net consistently after the All-Star break. The Pacers, however, had been on a roll and everything was falling into place at the perfect time. 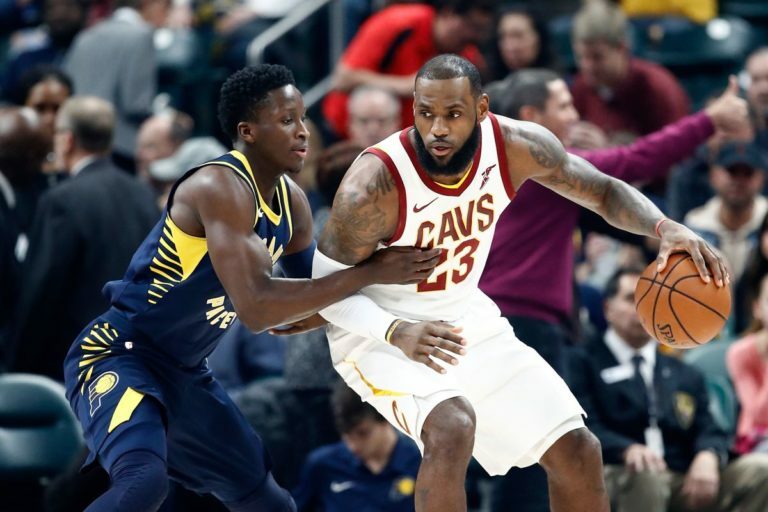 Consequently, they were giving the Cavs lots of problems with the size of Myles Turner inside, the three point shooting of CJ Myles, Victor Oladipo, and the expert facilitation from the lightning quick Darren Collison. Lebron had to put the Cavs on his back in order to beat the Pacers, and that he did: averaging 34.4 points, 10 rebounds, and 8 assists. Lebron almost single-handedly, with the help of Kevin Love late in the series, advanced the Cavs in a grueling seven game series. There are many who say private schools are far more beneficial to the children of our generation than public schools, and vice versa. Although there is not a lot of animosity between the two sides, the conversation still lingers as many question the other’s ethics, morals, and values. Many argue that private schools provide more individual help from teachers, while public school all have a massive number of kids, and not enough staff members to provide the help needed for those kids in the classroom. On the contrary, people in support of public schools argue that kids need to take the initiative for teacher help, that there are enough teachers, and that it is the kids’ responsibility to own up to their concerns and issues and ask for help themselves. There is a strong view that people should not have to pay for education at the high school level, and that embracing public schools is the solution to the divide. Separating our community is an argument that really has not been addressed in a head-on manner by private school enthusiasts. Taking pride of togetherness, and communal ways of developing as a country, starting with our kids’ education, is yet another argument from the supporters of public schools. Parents of private school students often argue that yes, they want to be a part of the solution, but they often take their own child’s education over the solution. They do not necessarily believe in the solution, and a substantial number believe that their future success depends on where they go to school, and if it is private or public. 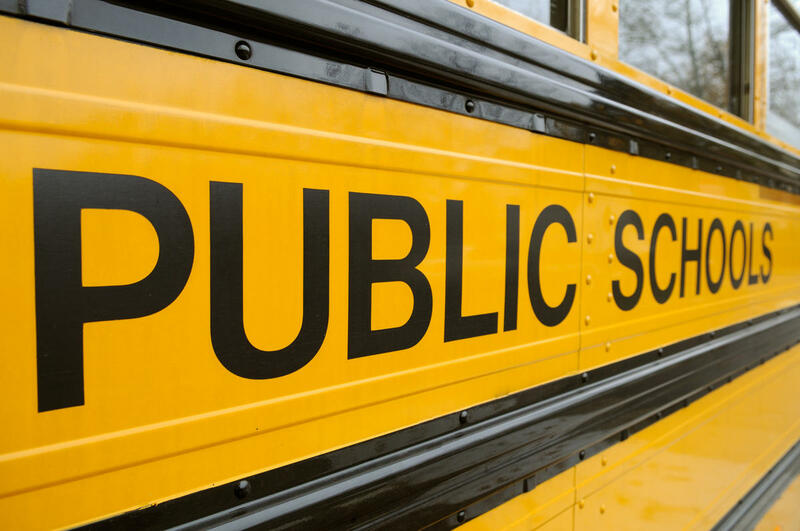 Overwhelmingly, private school supporters agree that the divide communally is not a large enough problem to where everyone needs to go to public school. On top of that, they believe that the discipline issues are too much to handle, and again, they take the value of their child’s education over starting to develop and help the solution of integrating private into public. Everyone knows how efficient social media can be for contacting friends and family, and learning of news of all kinds. It has been momentous for creating a platform for awareness of political and social issues. 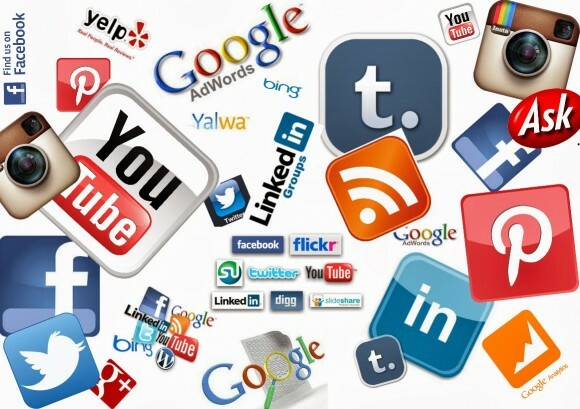 Social media is also helpful for building business relationships and connecting with customers. However, social media has unfortunately become a viable platform for cyberbullying, which has increased vastly over the past decade. 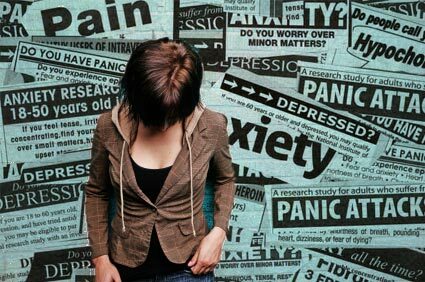 I myself know of kids that are dealing with depression, and I know two be heavy users of social media. I do think these kids, from my observation, do not have much going on in their lives, not many friends and not enough things to keep them busy, which is the main cause, but who knows. The extreme overuse of social media and constant need of attention from others through technology may feed their desperation even more so. There would be no reason to rid humanity of social media because of all the good it does for our society, but there are definitely disadvantages that need to be paid attention to, and somehow fixed or toned down to a bearable level. Ever since I have known about Highland Park Senior High, I have been aware of the Highland-Central rivalry. When I was 7, my cousin Stefan Landreau, started at HPSH and there came the football season. Stefan would report back to his parents, Charlotte and Carlos, disappointed at how Highland would lose most sports games to Central and other tough SPPS schools like Como. In particular, they would get trounced in football every year which seemed to be the most important game of them all. Next, followed Stefan’s younger brother, Ian, who was even more socially involved and outspoken and therefore even more angered and disgusted with how poor Highland athletics were. Maybe it was out of luck, or Ms. Galligan, the former Athletic Director, worked some magic of her own behind the scenes, but something changed in/around 2014. I was keen to flip the switch in the sports that I could: soccer. I played varsity tennis in 8th grade, and our tennis program has been at the top of the conference, along with Harding, as one of the state’s best in boy’s tennis for several years. The soccer team was a different story. I know of, and am friends with, some guys from the middle school that entered in with me: Josh Aune, Charlie Weill, Declan Flynn, Gabe Nelson, Mohamed Bue, Charlie Dombrow, and Abdi Gutu just to name a few star athletes in my grade. 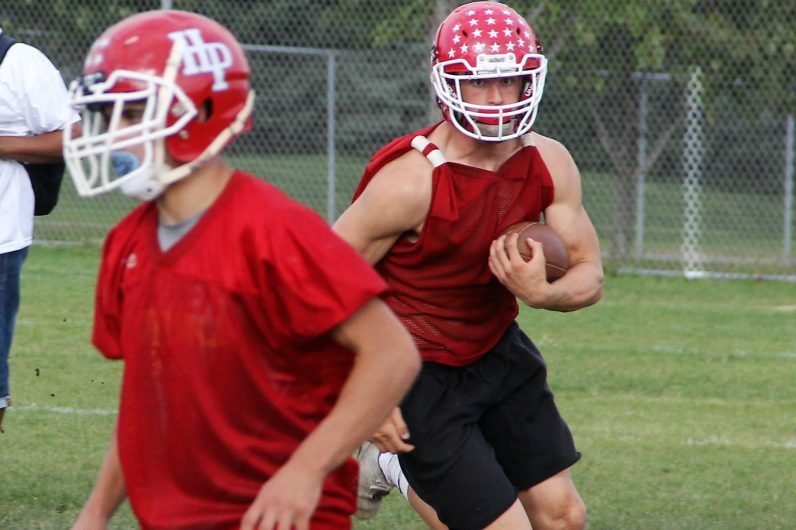 I had a feeling with the guys above us heading into their sophomore years such as, Amitri, Dreem, Joe, and some upperclassmen that this continued lack of achievement in athletics was bound to change. Every year since I have been here, the records of our teams have gotten better and better. In my freshman year on the varsity soccer team we had a record of 5-12-1; already better than the past years. Sophomore year, we were about .500 and saw a coaching change. These past two years, we have been under a fantastic coach, have really impressive records (as well as two consecutive appearances in the section semis in which we lost to the eventual state champions last year and runners-up this year), have won a conference championship, and a one game slip-up caused us the championship last year. The rise has not just been in soccer though. 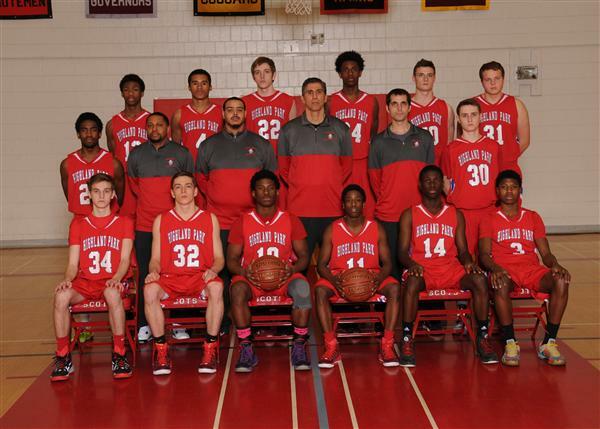 We have beaten Central in football for two straight years now (lead by Josh Aune), have been contenders for basketball (lead by Mohamed Bue and Ian Gallagher) and football conference championships, as well as being in section championships for the past couple years as well. Now, the gradual success does not stop there. In volleyball, we have now won the conference championship four out of the last six years, led by Ellie Egbert and Michaela McGough, and girl’s tennis has had significant improvement in conference play lead by Sami Linssen and Neesha Moore. Boys track has now won three conference championships in a row, lead by Josh Aune and Abdi Gutu. The boys lacrosse team, lead by Declan Flynn, has improved their record drastically during my time at Highland. The biggest surprises, however, came in cross country running and skiing. Both have now won the conference championship six or seven times in the last decade, with many finishes in the top 15 of state in recent years. This new wave of achievement is remarkable, yet not overwhelmingly surprising or unprecedented. Even with fewer people at Highland, continued work-ethic and persistence have paved the way for significant results building reputation. Highland did have success in the 90’s and 80’s but gradually declined toward the turn of the 21st century. I am willing to bet that Ms. Galligan’s magic propelled the next wave of athletes into stardom rather than a random group of talented athletes enrolling Highland Park High School. At least, that’s this writer’s opinion. It all starts with the kids. After the United States failed to qualify for the 2018 World Cup, many turned to the Division I system, in college, and the player development clubs and academies, to find something/one to blame. 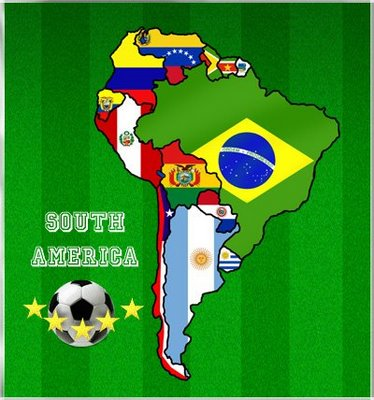 The indisputable fact is that soccer is the most popular sport in every country, in Central and South America. Even with nowhere near the population that the U.S. has, Trinidad and Tobago ousted the U.S., with a score of 2-1, in the United States’ final qualifying game. The reason these countries can win against such a big country like the U.S., is because every kid is playing every day since the ages of 4-5 and it is every kids’ number one sport. In the U.S., kids have the opportunity to play basketball, football, baseball, tennis, and many other sports. While a good number of kids still play soccer, it does not become their sole focus, usually, until about the age of 10 or 11. When kids choose a sport to focus on, it is usually basketball or football, but soccer is becoming increasingly popular in U.S. 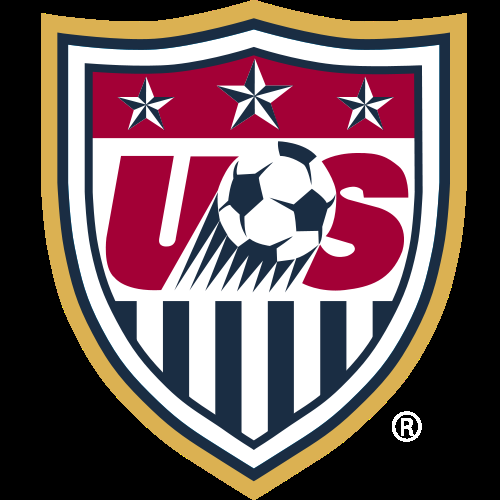 I believe the U.S. will never make the semis of the World Cup unless soccer becomes the most popular sport in the country. The fact that in almost every other country in the world, soccer is the most popular sport, outweighs the number of people those nations have. Because these foreign countries have been playing soccer (football) for such a long time, they have greatly improved their academies and national teams; often attracting the top young players from the U.S., to play abroad to play against better competition. Trinidad and Tobago is a prime example of a smaller country having more skilled and polished players, even with 322 million fewer people in their country. Fundamentals are the most important skills of any sport, including soccer. Maintaining a solid base in soccer is key for the most important skills in the game: first touch, passing, and vision. Outstanding dribbling is a given for countries out of South America, but first touch is also, at times, overlooked. Since focusing on one sport, from a young age, is so important for becoming a master of the skills involved, this is why countries such as Trinidad and Tobago, with a population of 1.6 million, has realistic chances against the U.S. Because of this, some have started to blame our college system after the devastating loss on October 10, 2017. Since Division I programs only want to win their conference, and make it to the NCAA Tournament, they are not focusing on developing the skills of their players, but rather playing the tactics that the coaching staff wants. Yes, this is a problem, but all of the problems, that can be pulled out of our academies and college programs, are the way they are because of the shortage of players we have committed to the game of soccer in the first place. The simple fact of the matter is: we need more youngsters getting into the game that most other countries cherish with massive amounts of love and attention.